For years I have been described as patient and understanding. I wore this title proudly and repeated to others how patience was one of my attributes. I grew up dreaming of being a teacher and practiced my skills on the stuffed animals lined up before me. Sometimes I even had a captive audience in my brothers. I spent many hours developing controlled patience because if I was to be a teacher, a favorite one at that, I needed to speak calmly and kindly. Just recently, I realized how patience is not as deeply wired into my being as I let on. The world says ask for it and go after it. There is a feeling of waiting for nothing to achieve that next goal. But then I pause and look at where I was and where I am going. The process is just that – a process. One that requires patience. I still claim patience as part of my personality, but find in certain situations it is lacking. Dreaming takes patience and a willingness to sit in the middle between beginnings and endings. I shared before I just recently began to allow myself to dream. It always sounded like something for children. When you reach a certain age, your time for dreaming is over, right??? The reality of my current life shows me sitting in the middle of a dream. 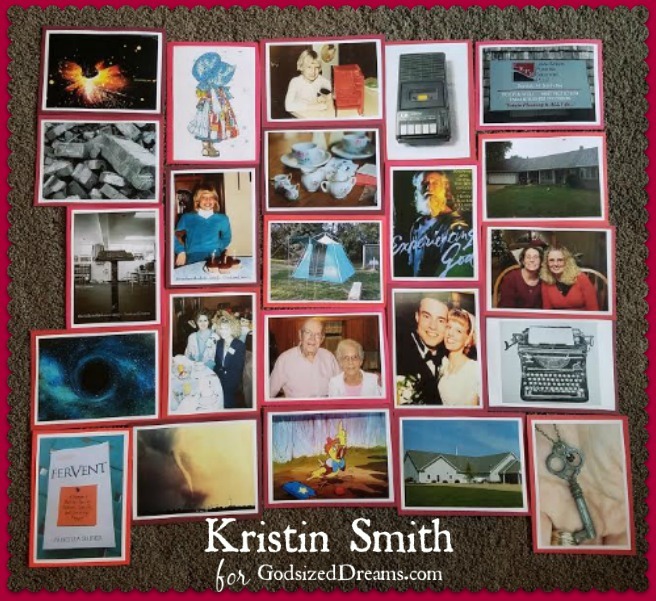 Who would have thought a retired teacher from Ohio would find herself dreaming let alone reaching beyond herself to see it to fruition? But the question I face right now is how do you continue to see your dream to the end when you are caught in a time of waiting? What do you do when nothing is happening, but the path to your dream is ready for next steps? The place in the middle is nothing like I imagined, but everything God planned. As I sit here waiting for my new house to be built and my current house to sell, I wonder if I will ever make it down the path. The place in the middle is nothing like I imagined, but everything God planned. It’s hard to admit the doubts filling my mind and the ache in my heart. Instead of holding onto the one who created my plan, I allow uncertainty and lies to lead the way. I find myself worn out from the struggle rather than relishing in the peace of following God’s lead. The time in the middle holds promise. God’s promise that He will see us through to the end in His perfect timing. Sitting in the middle also creates tension. The good thing is God is in the tension holding out His beautiful peace. We just need to say “yes” and claim it. Finally, anytime you are in between what was and what will be is a time for God to work in you to teach you perseverance in your purpose. God carries our struggles when we reach out to Him with patience, prayer and praise. In this time of knowing my dream is a few months away, I find myself struggling more than ever. God carries our struggles when we reach out to Him with patience, prayer and praise. I find myself centered when I embrace the three P’s and center my day around them. Patience – Sometimes all I need is to practice breathing in deeply and in the exhale blow out all that is weighing me down. Prayer – When I take time to press pause and focus my eyes on Jesus, I see and understand more clearly. Praise – My best days are ones that begin with worship music (played loudly, of course). There is joy in the freedom to worship God that never grows old. May we trust that God is in the middle with the promise He will see us through in His perfect timing! The realization of a dream isn’t half as dreamy as dreaming it. It’s the put on your big girl pants, pull up your bootstraps, and get to work part of seeing our dreams come to reality. Dreaming isn’t for the faint of heart. At least not the “dreams come true” part. But often the inevitable roadblocks to our dreams cause us to doubt or even convince us we must be on the wrong path. I’d like to suggest another option when we find ourselves backed into a corner or tripped-up and facedown in the gravel along our God-sized dream journey. Maybe we’re exactly where we’re meant to be. Maybe the very thing that screams turn back is what’s meant to drive us to the Dreamgiver and to reveal strength that was previously unknown and is necessary for the path ahead. Our enemy wants to keep us as far as possible from our dreams, because he knows they’re the path to God’s heart. And His heart is the place where we discover exactly what He had in mind when He wove us together in our mother’s womb—where we hear the rhyme and meter of the “poiema” that He’s written (go here for more about this idea). He’s designed us perfectly, and He made us weak and dependent on purpose. Pursuing dreams is supposed to be hard, to bring us to the end of our rope, and to convince us of our desperate need for the practical power of God’s Spirit in our lives. Collaborating with our Maker in the good works He planned for specifically for us is a place of intimacy and power like no other. Our dreams will pass away with us, but seeing His glory and experiencing His deep love and provision for us is eternal. That may very well be the true purpose of our God-sized dream journey. I remember longing to become a mom. And then God built our family through adoption, demonstrating His faithfulness to hear the desires of my heart, even if the whole story looked completely different than unexpected. Now I’m a mom to three kids who are 10, 7 and 1, and God took that dream and expanded it after He made it possible. God is a God of many dreams, and I’ve seen Him build them upon what He’s already done. My husband and I have had our eyes opened to needs right here in our community. That started with a couple local birth moms who chose us as parents and showed us how others in our small town live. Then we started serving with our kids and other families. As we did, we met more people, networked with more groups, and started a small group dedicated to community service and living out our faith. After making me a mom, God prompted me to encourage and support other adoptive and foster families. Then He used that to inspire me to volunteer at our local crisis pregnancy center. Without having journeyed with God to my dream of becoming a mom, I wouldn’t have been in a place to see the other needs around me. Yes, God fulfilled one dream that I had, but He also used it to spur on other dreams that are connected to the heart of the first. That’s how God works. He doesn’t finish with us and our dreams until we are with Him in heaven. Until then, all the dreams are part of the big-picture plan He has for us and He promises to finish what he started. Of course, even rejoicing in the good gifts and celebrating dreams fulfilled doesn’t come easy. Getting to the finish line while chasing whatever dreams God has given you can be exhausting, but keep going because glory – His glory! – is coming. Sharing in His glory forever is well worth the obstacles and detours of any dreams. Knowing God is the giver of the dreams is what sustains us along the journey, when we can’t even see the destination. Trust God to fulfill the dream He gave you and stick with Him long enough to see what else He’ll do. Perhaps you’ll get a glimpse of that glory around the corner. Have you ever experienced a message from God that so clear that you end up getting the same message over and over from different sources all over a short period of time? I feel this is the best why to describe my last few months. As most of you know I am a natural striver, always looking for the next strategic move. Two years ago my life changed in many ways as I left my corporate career to pursue my God-sized dream full-time, helping women through the process of discovering and pursuing their own God-sized dreams. 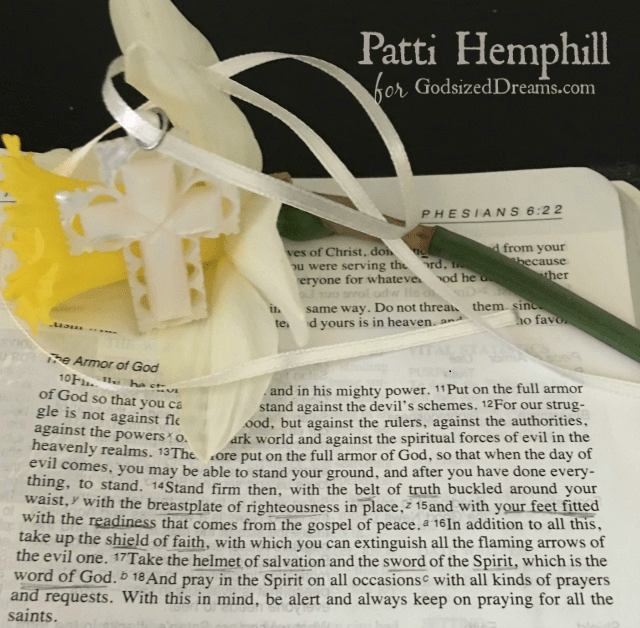 Enjoy the tempo of a God-breathed life by letting Me set the pace. Thirty days ago I issued a challenge to the incredible group of ladies I work with monthly. This challenge has been an amazing change in my own life as I am noticing that I am so much more mindful and intentional with my family, and in the work that I do. I am intentionally slowing down, listening to God, and removing the extra clutter from my own life. Please take a moment and watch my video challenge and I challenge you to do the same! A viper, coiled and waiting. Sensing you, without being seen. A subtle warning comes too late. It strikes quickly, dispersing just the right amount of poison. The unsuspecting prey is left weak and sickened, yet able to crawl away. It lies in its hiding place, terrorized and depleted. Sadly, the injected venom emits a signal to the reptile, and it can now locate and reclaim its prize. Insidiously stalking its paralyzed victim. Our enemy, ruler of the snake pit, pursues us daily. He commands his brood of vipers to attack our distracted hearts and minds, flooding our inner beings with toxin. Some onslaughts are the flights of our own minds’ fancies…un-lived scenarios our psyches conjure up. Others are brutal, lived-out realities. Either way, we’re left unfit. Our sense of purpose is snuffed out; dreams and potential are suffocated. Trepidation can overcome when we’re forced to deal with a disproportionate phobia or forced to confront what we can’t control. A ringing phone at an unusual time, the dread of picking it up to say hello. Is there anything that sets the heart to quaking faster? Mentally preparing for words the caller may speak. Truths that may reshape and forever alter our lives. Wounds that will heal in time but leave their permanent mark of pain. Puncture marks from fangs that injected paralyzing poison. MRI machines reveal what our flesh conceals. It’s miraculous, really. Yet panic sets in the moment that bed slides toward the small, small tube. An acrid taste on the tongue. Panicked by the method of discovery, as well as of the discovery itself. Or climbing to dizzying heights, feeling the breath being pulled from our lungs. Wondering if we’ll have the strength to hold on if we lose our footing. 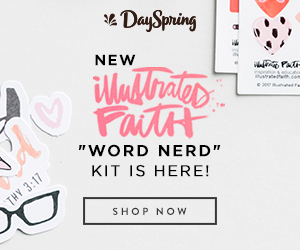 I’ve experienced being afraid a hundredfold, but I’ve yet to discover how to overcome it! I don’t have the answer. I’ve reached for this aspiration, yet I’m anxious. It’s not good enough. I’m not good enough or smart enough. I feel the serpent slithering ever closer, seeking me out. The evil one would have my veins filled with doubt and uncertainty. Even as I helplessly stare at this screen, my Savior blocks the fatal strike. I feel my Lord compelling me to type this thought. Friends, we don’t have to be good enough. God is good enough, and He makes US good enough to carry out His plan for our lives. We just have to be willing enough. Willing enough to keep going. It has taken time and life to realize that some things can certainly be overcome and healed. Then there are those things that leave us lying in a paralyzed heap. We don’t have to be good enough. God is good enough…We just have to be willing enough. We don’t have to be good enough. God is good enough, and He makes US good enough to carry out His plan for our lives. We just have to be willing enough. I love the poem, “Footprints in the Sand.”* Beautifully penned words of truth, it’s about turning around to see exactly where Jesus carried us through. It’s in the looking back that I see, really see, that I’ve overcome many, “now-known unknowns.” Pain. Loss. Sorrow. Addictions. Pride. Rejections. Does the list end? It’s only in the looking back that I’ve gained the surety of Jesus’s presence in my life. It’s in the looking back that I’ve gained the certainty of His love so I can release my uncertainties. It’s only in the looking back that I can now say, trust Him. When you perceive that coiled-up tormentor, have faith anyway. Remain faithful in prayer, even if you think it’s not leaving the ceiling of your room. Remain faithful to reading Scripture, even if the words evoke no feeling. Remain tenacious and intentional in your belief, even when you can’t feel a thing. Take the Sword of the Word in both hands, and sever the head from whatever serpent is chasing you down. * “Footprints” author is a debatable issue. My husband and I were invited to participate in a leadership training class through our church this past fall. Since September we have been meeting every Monday night at the home of our Pastor and his wife. They serve us a wonderful meal and then we all gather together to discuss the previous week’s homework, reading etc. There are 12 of us in the group and we come from all ages and stages of life. The first several months we studied Systematic Theology. Deep stuff. Many of the topics we discussed challenged me to discern what I believed based on what the Bible actually says or what I have learned or heard from others. My husband is incredibly bright and he can read this difficult material and then adequately discuss his questions. Me…not so much. We have now moved out of those topics and are now looking at leadership and determining how the pieces of our life story have molded and shaped us. Part of the process will be sharing our stories and how God has worked and moved in our lives with the members of our small group. I love stories. I want to hear others’ stories, they connect people. Stories are like the bridge that connects one person to another. Our Pastor encouraged us to come up with some sort of theme, we could even bring a visual aid if we wanted. I wasn’t sure what I was going to go with at first and then on the night that our Pastor was sharing his story, it came to me. Ok for those that know me, just take a moment and laugh at that a little…it’s ok! ……..Done? Good! I have not ever used a sewing machine and while I would love to have that talent, I just don’t. But there was something about it that struck a chord in me. So I went home that night and looked up the basic steps to quilting. Planning, cutting and piecing, quilting (the process where you put the top squares and the backing together) and finally binding. I knew that my life had followed similar steps and so my “quilted” journey began. For my purposes, this was God’s hand in my life. For a quilter this is the step where they decide what they want the quilt to look like, what colors and fabrics they will use. God formed me, He had a plan for my life. I have a calling and a purpose that He has predestined for me. Today in my life and in my dreaming journey, and with His help, I seek to walk in that calling. One of the most time-consuming parts of quilting is the cutting and piecing together of all the quilt squares. This is how the design of the quilt really comes together. And so it has been with my life. Each moment, learning experience, hurt and joy have been another piece of the quilt. Some of those pieces are not how I wished them to be. Others I wish I didn’t have to include in my final masterpiece. But even among the squares I would change there are things to learn. As I look back on the pieces of my story I can see how each moment has shaped me into who I am today. There have been times that I have had to struggle through, but they made me more resilient. Even my biggest failures have taught me about forgiveness and grace. Nothing is wasted. It is in the quilting step that the top layer and the bottom layer are sewn together with the batting that goes in between. When considering my life story, I saw this as my refining period. Most recently it was through some very hard heart work, Christian counseling and time with a wonderful mentor from my church, that my faith and life was refined. I am by no means perfect, even though I still find myself striving to be at times….but in this time of my life, God has allowed refinement so that my true character, the one defined in His image, is starting to show. The finishing step in making a quilt is the binding. This encases all the raw edges of the quilt and makes it look like a polished work. God continues to love me and refine me. He guides me on His path for my life and over and over again I can see that I am redeemed by His grace. I believe that the final quilt of my life with the beautiful-edged binding will not be complete this side of heaven. But some day, because of God’s grace and mercy it will be. The process of writing out my life story thus far has been an interesting one. I was able to look back and see the many places where God put specific people in my life to guide me. I saw how different experiences molded me and shaped me into the woman I am today. I recognized that I still hold onto some of the ugly of my past. And while I am slowly seeing redemption from many of those things….all the pieces are not there yet. But I have faith that they will come. Because God is quilting me together piece by piece. And hearing the others in our group share their stories has been so powerful. We all have different stories to share. On some things I can relate and others maybe not. 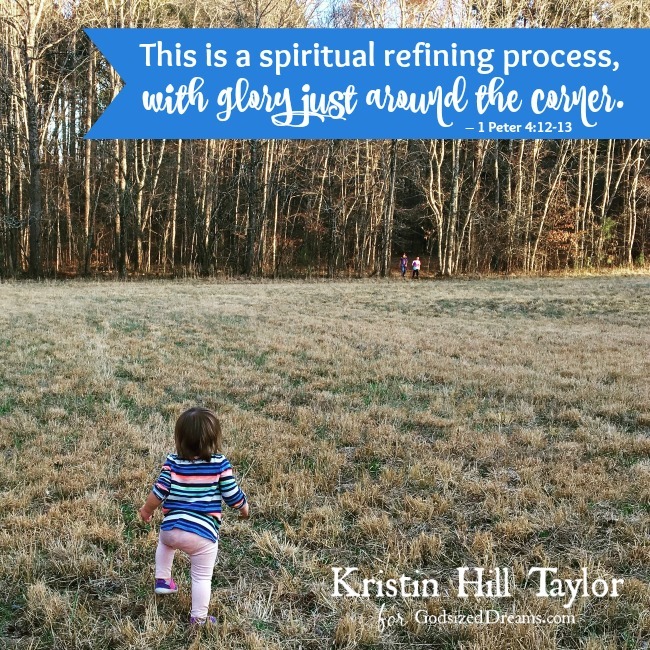 But I am reminded that the process is so valuable. I see grace in my own life because someone else shared their story of grace. I remember a time that a tough situation turned good because I heard you tell me your story first. There is shared laughter and shared tears as we become vulnerable with one another. But we all walk away changed in the process. So if you haven’t taken some time to ever work through your story, I encourage you to. There may be someone you come in contact with that needs to hear about how God worked in your life so that their eyes can be opened to it in their own journey. It is a tough process no doubt, but one that I am so glad I walked through. What’s keeping you from sharing your story? Would you be vulnerable with me in the comments and I will be praying over you today! We have a fun announcement to share with you…if you follow us on Facebook or Instagram you’re already in the loop! After much prayer and contemplation and waiting to have all the right people in place to run it, we’ve opened a God-sized Dreams private Facebook group! The need was there, we were waiting on the timing. 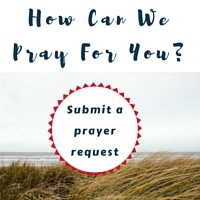 So, join us in the group if you want a more private space to give voice to your dreams and prayers. We will see you there! When I was a kid, no one talked about community. It just was, and it was everywhere—in the fire lane where we’d meet to play football and at the pool where long summer days were spent keeping cool. We found community at school, church, Girl Scouts, youth group, softball practice, etc. And wherever I spent my day, I’d typically end it at home with my sister, mom, and dad. They were the days before the Internet when we had only four TV channels (five if the weather was right and someone sat in just the right spot in the living room). We didn’t talk about community, we lived it. It’s interesting how finding community, something that grew organically in the past, has become a topic of discussion and a thing we feel the need to intentionally create. How is it that when life has never been fuller with constant communication and streams of information as close as our smart phones, we are lacking community? Have we forgotten how to just “do life” with others? Don’t get me wrong. I’m someone who thinks, talks, and prays about creating community as well. I understand how lonely and disconnected a person can feel in our times. For all the people in our lives, the strength and comfort of community can be elusive. Lately, I’ve been thinking the solution might be closer than we think. Our families were our first communities, and they can continue to be a rich source of friendship, support, and personal growth. Our families were our first communities, and they are a rich source of friendship. Love the ones you’re with. It’s easy to take family for granted. God’s cure for the loneliness of the first man Adam was to give him family, and it’s still His design. 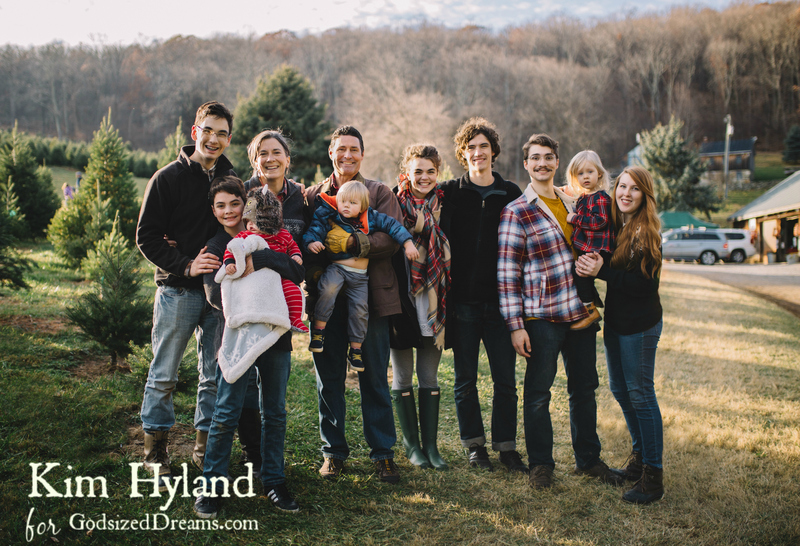 Remember that your family is not a hindrance to your God-sized dream but a proving ground. Our dreams often feel just a little bigger than our time, resources, and opportunities. It’s their nature and what makes us stretch, grow, and trust even more than before. God uses our family circumstances as a sort of “boot-camp” to prepare us to fulfill His plans and our dreams. Enjoy. I have a sign in my house with this one word to remind me. Between the never-ending daily tasks and the sanctifying process, it’s easy to forget that the first community I dreamed of and prayed for has been given to me by a loving God to enjoy! As I write this on my iPhone, we are driving our oldest son and his wife to the airport after an extended visit. The past couple weeks our house has been bursting at the seams and tomorrow it will be quiet as it returns to “family-light.” But whether full or few, I know the dearest and best community on this earth is my family. They’re the ones who have formed me and my dreams, and they’re the ones who’ll be cheering the loudest when my God-sized dreams come true. But whether full or few, I know the dearest and best community on this earth is my family. What do I love? Really? I love God and the idea of being radically different. But then when I’m misunderstood, I realize I love people-pleasing more. Being different means I will be misunderstood because that is what being a Jesus follower is all about. Oh, yeah. What I really love is the acceptance and approval of man, not God. The Bible says to expect and welcome hard times, so I declare, “Bring on the rain! I’ve got the faith to handle what comes my way!” But then the downpour comes, and I cry and question, Where are you God? I see very clearly how much my heart loves comfort and ease. Salt and light comes with a price. I MUST lay down my life. Lately I have felt like a walking target for the enemy. I duck and swerve his fiery darts, but more hit than miss. If I don’t want the battles that come with kingdom living…the set-apartness that comes with living a life of difference…then I should walk away from God. There’s something about Him that keeps me near and draws me in to see the beauty among the pain. Comfort and ease are not a part of our lives this side of Heaven. At the beginning of the year when everyone was declaring their word of the year on the Internet, I quietly chose the word, surrender. I will choose to actively surrender my plans, dreams, marriage, children. God has shown me I don’t trust Him as much as I say I do or want to. I white-knuckle my plans, my dreams, afraid to truly let go…because what if I don’t like what God does with them? Pride keeps me hanging on, just in case God gets it wrong. And people-pleasing keeps me from boldly living out my faith in ways that I know will cause people to take notice. God walks with us through the journey, and our promised land is on the other side of our pride and fear, if only we will surrender and love Him more than our plans. If you continue reading the verses in Deuteronomy, God charges us to love Him and serve Him and when we do this, He promises to provide what we need when we need it. What a sweet promise to hold on to. So…I ask you the same question I’ve been asking myself, What do you love? I went to bed too late. I just had to clean those dishes that were calling me from the sink. That ended up taking an hour, when I should’ve been asleep. “Oh well…I’m going to try to get up tomorrow morning for my exercise class anyway,” I murmur as I climb up the stairs to my warm and cozy bedroom. I toss and turn all night. So much on my mind. And you know how it is, once the thinking starts in the middle of the night, it builds. Ugh…another night of not enough shut eye. Just as I’m finally falling into a deep sleep, the alarm goes off. 5:50 a.m. I can’t do this. I need my sleep. I’ll just hit the snooze button. 10 minutes go by. I’ll just hit it again. Okay, enough. No more excuses! I’m a little cranky too. I push myself to struggle into my workout clothes in the dark. I don’t want to wake my man. He doesn’t have to get up quite so early. There might be a little envy there. I head down to my favorite prayer chair. Switch on my First5app. I’ve managed to start my day with God by using this handy little app before responding to the seductive lure of social media. Oh but wait, something just zinged and dinged. Maybe that needs my attention. It could be something important, something that just can’t wait. I read my feed. It’s my sister sharing a morning God thought. It’s a good one. We start to chat. “Gotta go. I’ll miss my class if I don’t leave now.” My quiet God time will have to come later. I’m not used to this cold weather. I hate wearing a coat. One more step to take before I get out the door way too early for my exercise class. Oh and shoot…I need my water bottle! Now I may end up missing the warm up. That’s no good. Should I skip it? Am I too tired? Too unprepared? Too…??? Just get out the door! I obey myself. And thank God for seat warmers, which I thought were a little ridiculous before today. We’ve got a new used car with what I viewed as this silly unnecessary feature. However, the heat is slow and the seat warmer is fast! I pull into the parking lot. Yep…I’m late. It’s embarrassing. My trainer will high-five me, even though I’m late. The class will glance my way and maybe wave as I hastily throw my coat, keys, etc., into a cubby. I have missed the critical seven-minute warm-up. I know I’ll pay for that with stiff limbs later. I paste a smile on my face and get to it. Thanks Rihanna! You’re a little wild with your words, but you sure do get me moving! The tears trickle. They are happy and triumphant. Today, again, against so many odds, so many distractions, so many interruptions, so much of my own negative stinkin’ thinkin’ I have made it to the gym. In less than an hour, I have accomplished one of the most important things I can do for myself. Get moving! It helps me physically, emotionally, psychologically. This! This getting to an exercise class at 7 am is in itself is a dream come true. A miracle. I’ve said I’d never be one of those people who could get up early…workout every day…go to a gym. I was wrong. What excuses are you making? What are you saying to yourself regarding your dream? What excuses are you making? What lies are you believing? What are you saying to yourself regarding your dream? No matter what your dream is – to be more fit, to have a balanced budget, write more, build your business, speak. No matter how large or how small…your dreams are worth the investment. You’re worth the investment. So kick those excuses to the curb. Silence the naysayers in your head. And get to it today! Take one small step toward your dream. I’m high-fiving you right now. I believe in you. You can do this. This year I made my dream of getting more fit come true. I signed up for a challenge called Max Fit. It’s a program that offers nutritional guidance, 45-minute classes with top trainers, and motivational training. I’ve lost over 20 pounds and over 16 inches. And I’m not giving up on myself. I’m going to keep working out. Keep making healthier choices. Keep making my early morning workouts a priority. I want to do what I can to live a long life, get down on the floor to play with my grandchildren, hike and bike with my husband. With self-discipline, perseverance, and a heavy dose of prayer. I can do it. You can too! 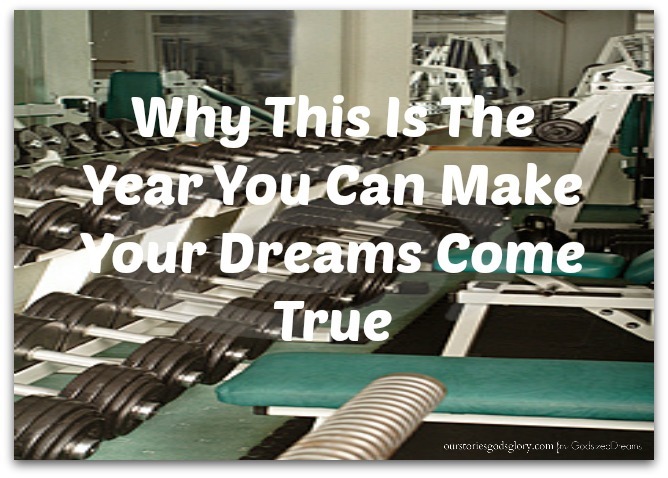 Let’s make 2017 your year to make your dreams come true.